If you could sum up Night of the Living Deed in three words, what would they be? What three words best describe Amanda Ronconi’s voice? I did laugh out loud sometimes, which always makes my family wonder about my mental health since they don't listen to or enjoy audiobooks. But hey, as long as I'm in my happy place, they pretty much just let me be. This is a nice light listen, although a little too formulaic for my liking. You know pretty early what's going to happen, and the author and reader both know that you know, so I guess that draws the reader in as though we're in cahoots with the whole thing, but willingly going along for the ride anyway. The story gives you enough insight into the characters that you will want to read more to find out what happens next. I love Amanda's voice, just perfect for the main character, although she lacks range for the other characters, especially children and men. But overall, well matched to the story line. What I like best is that the author doesn't need to get too far into the grim /violent climax a lot of other mystery writers fall into, messing up a perfectly good story by thinking they need to go out with a big bang or shocking finale. I can't think of how many books I will replay only up until a certain point because I hate the gratuitous violence. Character and plot development doesn't really need that thrown in, just seems to be part of the formula for unimaginative writers these days. 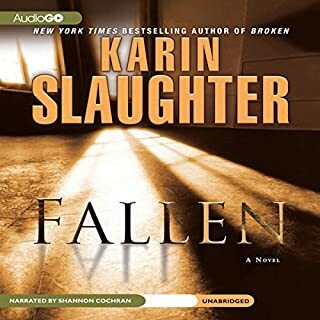 Where does Soulless rank among all the audiobooks you’ve listened to so far? This is kind of a mid-range book, neither the best nor the worst from my listening list. It took a while to warm up to - at first, the umbrella-as-weapon and British heroine assumption of solving any mystery seemed like a total ripoff of the Amelia Peabody series. That really irked me, so it took about halfway through the book to let go of comparing every little thing and just get into the story. 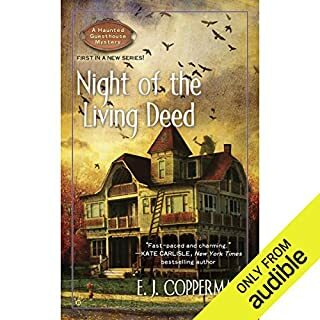 After a second listen though, and Emily Grey's lovely narration (better at female characters than the males), I tucked away comparisons and just enjoyed the story and humor. There are so many touches of self-deprecating humor throughout the book, it makes me smile. Without giving too much of the plot away, an example is Alexia's outrage that the vampire who tried to attack her fell into a treacle tart that Alexia had been planning to enjoy. Unexpected, but sets up her character very early in the book. 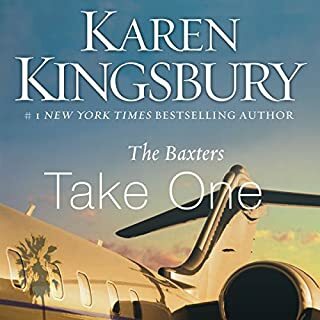 The author is quite good at introducing characters in a way that helps you never get lost as to who is who in the story - right from the beginning, she attaches character traits or mannerisms so that you can picture the character and relate to them. There's no depth of plot to speak of, but for a light listen while you go about your day, I'd recommend it. I like pairing books with whatever else I'm trying to do at the time - this book fits right in with tedious housework tasks, helps keep your mood light so time and the tasks pass by easily instead of being chores you can't wait to finish. Which character – as performed by Emily Gray – was your favorite? There's no police training stronger than a cop's instinct. Faith Mitchell's mother isn't answering her phone. Her front door is open. There's a bloodstain above the knob. Her infant daughter is hidden in a shed behind the house. All that the Georgia Bureau of Investigations taught Faith Mitchell goes out the window when she charges into her mother's house, gun drawn. She sees a man dead in the laundry room. She sees a hostage situation in the bedroom. What she doesn't see is her mother. What did you love best about Fallen? Most of all, I loved the voice of the reader. She had a perfect Texan cop voice, no nonsense, and worked for both the male and female voices. What was one of the most memorable moments of Fallen? The juxtaposition of horrible murders, remorseless bad guys, and a nice little love story on the side. Together, they serve to keep your interest, enough threads and side stories that you get a good sense of each of the characters. Well done, without a lot of fluff. If you like books that hold your interest while not taking too much work to follow, you'll love this book. I'll definitely listen again! 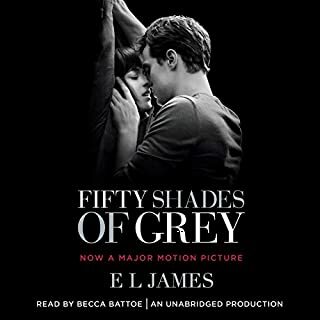 Would you try another book from E. L. James and/or Becca Battoe? Not likely, although I suppose people who are entertained by extremely limited writing skills might tolerate it, (I mean, who on earth would consistently use "apex of my thighs" or "belly", then also use words like "clavicle"? And the reader, YUCK. I'm not sure where Becca learned to read, or if she had to work to be that bad, but other than confirming Ana's infatuation for Christian, all of her moaning and strange cadence, this reader cannot even pronounce the poorly written words. Talk about adding insult to injury. James tries to convey opulence and richness by using French, which Battoe then slaughters because she has not one notion of how to pronounce them, or willingness to do the research to learn. What could E. L. James have done to make this a more enjoyable book for you? Develop the characters and stick to their strengths and weaknesses more closely... why on earth does she need to turn them both into super-heroes? Really, does every male lead character have to be rich, gorgeous, highly successful and with uncommon sexual prowess and um, stamina? And Ana, come on... what innocent girl would be so willing to do so many shocking things with her first sexual partner? Unbelievable in every sense of the word. What didn’t you like about Becca Battoe’s performance? Voice, cadence of her reading structure, inability to portray men's voices, complete lack of ability to pronounce French words.... the only thing even remotely tolerable is that there were moments when she portrayed Ana's innocence in a believable way. My recommendation to Ms. Battoe - find another job, maybe as a hand model. You are not a reader, although I do congratulate you for managing to land this job for all three books. The first book was so bad, but I downloaded the other two anyway, so shame on me. I will say that the Christian character, who left me loathing him at the end of this book, became more sympathetic and likeable during the other two. Ana, on the other hand, became less and less tolerable over the course of the series, and by the end, largely due to the reader's voice, I just wanted to throw something at her. What did you love best about Nice Girls Don't Have Fangs? Molly Harper has a great sense of humour (Canadian spelling). Don't look for anything deep in this series, just good light entertainment, and quite a few laughs. Amanda Ronconi gives the perfect touch of sarcasm and wit in her readings of each character. Nice way to de-stress or just relax after a busy day! Food for thought, ideas to inspire! This book is so relevant, I'd recommend it to everyone! 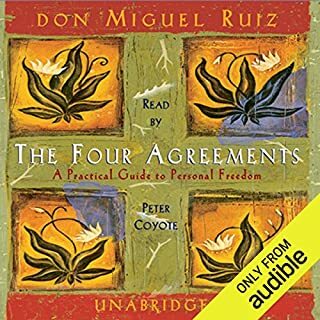 In a fairly short read (listen), the common sense this book makes can literally change your life... for the better. I've read the paper version, but found the audio version excellent. After 700 years of life, Marguerite Argeneau finally has a career. Well, the start of one, anyway. She's training to be a private investigator, and her first assignment is to find an immortal's mother. It seemed simple enough, until Marguerite wakes up one evening to find herself at the wrong end of a sword. Now she realizes she's in way over her head. Narrator is not one of your best! Well, having read the other reviews, I decided to download the book anyway. Vampires are Forever left the plot line hanging, so... Other reviewers were right - reader's breathy voice, poor reading style (inflection at the wrong part of the sentence, like the end of the written line was the high point in the sentence) makes it annoying. Needs a lesson from Barbara Rosenblatt when it comes to character voices! Hope the story makes up for the narration.